in Taekwondo, those who qualified through ranking can only be replaced by someone in top 20, in this case Iran has athletes in top 20 in all 3 weights but coaches made it clear than Ashourzadeh, Khodabakhshi and Mardani will go to Rio unless they get injured. in Weightlifting, they will announce the team few weeks before the games, right now they have 15 weightlifters in the camp but likes of Rostami and Moradi are already safe. in Wrestling, they had series of trial events and after that they announced a very short list of wrestlers for the final trials in April. in freestyle it will be mostly between two wrestlers in each weight except for 86kg where 4 wrestlers are in the list. also in 125kg they won the quota just today, I'm 99% sure it will be a wrestle-off between Hadi and Ghasemi. in Greco-Roman Abdevali is already selected, we will have a wrestle-off in 98kg and in 85kg, there are 6 wrestlers in the list to wrestle for the spot. beside that they won the 66kg quota just today, I will wait to know their decision about it. 2 new qouta in fencing. Madness in iranian weightlifting continues. Sajad Anoushiravani just became coach of our weightlifting team. A guy who won the silver medal in the last Olympics and has no experience at all in coaching . I have no words to describe how stuipid this decision is. Who was the previous coach? How are the relationships/workings in Iranian weightlifting? For example, in Dutch speed skating there's commercial teams (like in cycling) who of course all have their own coaches, and a "national coach" who mostly doesn't have a lot of real power because the athletes train with their commercial teams. 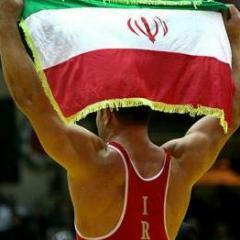 I seem to remember there are different camps who are strongly opposed to each other in Iranian weightlifting? That's a LONG story. we had 4 different coaches in past 4 years. Kourosh Bagheri led the team to win 4 medals in London, before that Coup d'état in 2013. he had to send a very young team which still finished 3rd with a silver medal and four 4th-place finishes. he resigned later, he had a heart attack and could not handle all those pressure on him anymore. they appointed another coach "Bahman Zare" who was NOT successful in 2014 Asian Games and 2014 Worlds then they replaced him with the mastermind of that Coup d'état 2000 Olympic Champion "Hossein Tavakkoli" !! Tavakkoli was junior team coach when some of these athletes were junior and provoked them against his former teammate Bagheri. Those weightlifters love Tavakkoli because he gave them so much freedom ! they could stay for the night, playing play station etc. 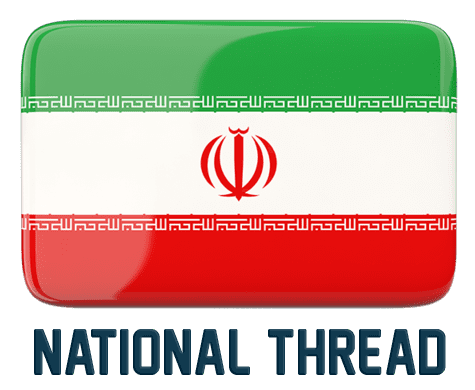 later we had some changes inside the federation and the new president probably didn't want to work with Tavakkoli but had no other option since they had only limitted time before the 2015 worlds which turned out to be disastrous for Iran ! thanks to his training, we got so many injured weightlifters. most importantly Mohammadpour and Salimi, Ironically they didn't fire Tavakoli after his poor results in USA, but they fired him few months later, only few months before Rio ! even though they appointed Anoushiravani as the head coach but they also hired a Bulgarian coach probably to supervise him. Ah right, I remember you writing about the athletes getting way too much freedom. If I'm remembering correctly, Salimi was among those who preferred to stay up at night playing PlayStation? Yep indeed he was, he got seriously injured weeks before 2015 Worlds, (video of his injury is available on the net) under training program of his favorite coach Tavakoli, he is back after a knee surgery and started his training only yesterday, it's not clear if he can recover to his old shape in time for Rio or not. at the moment I don't count on him. at the moment Iran has only 1+1 medal chances, Kianoush Rostami and Sohrab Moradi (and i know you won't like him as a former doper !). Moradi is back after a 2 years (and plus) suspension. since the previous federation announced his retirement to IWF , he could not particpiate even after the suspension, he is supposed to be clear to compete in couple of months but the problem is he has to compete in two IWF sanctioned event before Rio to become eligible. he will miss the Asian Champs, but can participate in IWF Grand Prix in Tehran . still needs one more tournament which apparently IWF will invite him for Pan-American Championship in Colombia ! that's what Tamas Ajan (IWF president) promised to the Iran federation. ps, Moradi's training record was something +20kg more than Gold medalists record in World Championship. Are there some Iranian weightlifters (of a decent level of course) who are actually "down to earth" guys instead of "divas" like Salimi?